Boy band sensation, State Of Mind have already made such a tremendous impact in the entertainment world with all of their incredible music, spectacular performances, and wonderful, music videos. They have and continue to leave us all in awe with their exceptional talent and their passion for music. With the recent release of their new single, “Always Need You” featuring Flo Rida and the highly-anticipated release of their other brand new single titled, “Broken,” it’s clear to see that there is even more greater things in store for this extraordinary band, which is why they decided to change their band name. But… THEY can’t find you easily , or they confuse you with SOMEBODY ELSE that has the same name – Sebastian, Kyle, Jaxon & Shane REALLY WANT YOU to find them with a simple click on a phone, ipad or computer! We felt that with our name STATE OF MIND we couldn’t do that.. We received emails from all over the world asking where can we follow you, where can we join , where we can hear your music… Therefore we thought hard about it & decided to change our band name! While we were looking for a new name we imagined about a place where YOU & MANY OTHER FANS could come & enjoy our music, our lifestyle , OUR DREAM.. Maybe even somewhere were we could all be Kings & Queens, together! So we decided to make that place for YOU & US! FROM NOW ON EVERYBODY discover OUR Journey in OUR kingdom… THE FOURTH KINGDOM! Short 4TK! We sincerely hope that all of YOU , our Kings & Queens will continue to take this journey together with us, to share our dream & we promise you all a BUNCH OF GREAT MUSIC & CONCERTS & MEET & GREETS along the way! We will have a landing page soon online @ www.thefourthkingdom.com and our socials will also change to The Fourth Kingdom. We can’t wait to continue to join The Fourth Kingdom on their magnificent, musical journey. They always leave us all in awe with their exceptional, musical masterpieces and we know that they will have many more marvelous successes coming their way. 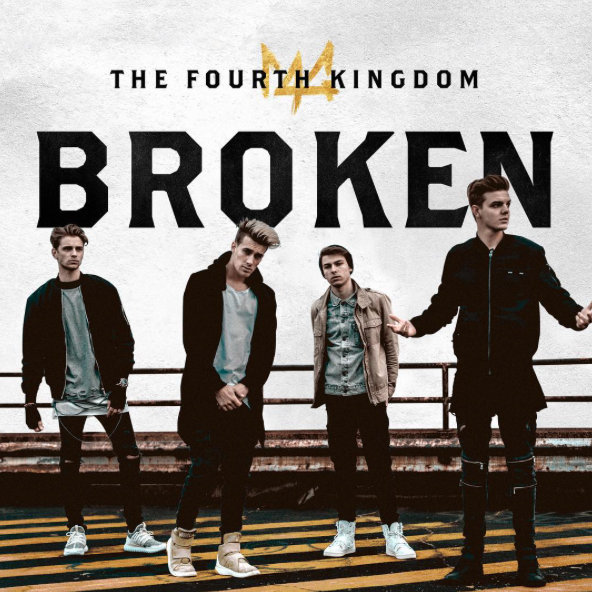 Also, be sure to check out The Fourth Kingdom’s acoustic version of their new single, “Broken” and be sure to stay tuned and buy “Broken” once it’s out soon. Previous VIPAccessEXCLUSIVE: LaurDIY Interview With Alexisjoyvipaccess At The 2017 Nickelodeon Kids’ Choice Sports! Next VIPAccessEXCLUSIVE: Shawne Merriman Interview With Alexisjoyvipaccess At The 2017 Nickelodeon Kids’ Choice Sports!